There’s a common belief amongst some car buyers that you can only buy a car that you need if it falls within a certain budget that you can afford to pay out for and that there isn’t a great deal of room for negotiation.Whilst this to a certain extent is true – if you’re budget is around the 20,000 pounds mark, there’s not much you can do to stretch your money to a 200,000 Aston Martin and likewise if a car is being sold second hand for 500 pounds, you’re going to have to be an amazing haggler to get it for 150 pounds – it isn’t a fixed rule that applies right across the board.And in some instances, with just a little thought and research, you can turn this saying completely on its head and get the car you need to slide easily within your budget. There are various ways to do this, but the easiest and most popular is to take advantage of a form of car finance.Generally speaking, using car finance means that you can spread the cost of the car over a set number of months, meaning you don’t have to be able to pay for the car in full at the point of purchase.Whilst you may believe that car finance isn’t a great way to buy a car – there’s a belief amongst residents of the UK that you need to own items outright straightaway, so you can say that they are actually yours – it’s obvious that this is a fading thought, as 80 percent of all cars currently bought are done so through some type of car finance deal.What’s more, car finance doesn’t just relate to one type of finance deal and in fact refers to three separate ones, all of which offer slightly different ways to fund your next car purchase.For example, the most popular of all finance options is car leasing. This is popular because you don’t own the car and are simply leasing it, you don’t need to pay for it outright over the course of the agreement and the monthly payments can be considered more of a fee to be driving around in the vehicle than anything else.In second place there’s a Hire Purchase agreement. 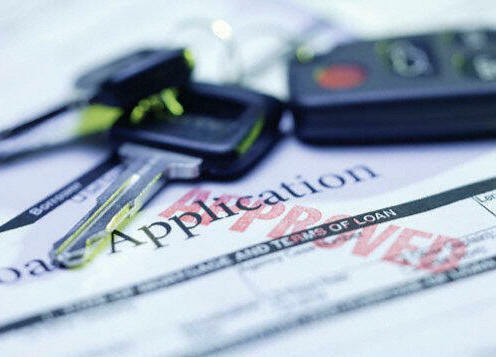 This form of finance is really what is known as a secured loan. Basically you typically pay a deposit (normally no less than 10%) and then you borrow the money to buy the entire car (say 20,000 pounds). If the finance company approves your application then the 20,000 has interest added to it for the term of your agreement (typically 5 years) and the total amount that you borrow is 20,000 + the APR (for our example let’s say an APR of 9% which makes it a total amount of 24,910 pounds which equates to 415 pounds per month. Importantly, you will not own the car until you have made the final repayment of 415 pounds + a small admin fee.And whilst personal car loans are a third in terms of how popular they are, with around 13 percent of the market using them, car loans are an option to be considered if you want to own the car from the outset. However, they are typically more expensive per month than the other two alternatives.You might have initially thought that car finance was a term for just spreading the cost of your car purchase over a certain number of months, but by taking the time to understand all three options, you can ensure that you can get the car you want at the price that you want to pay.